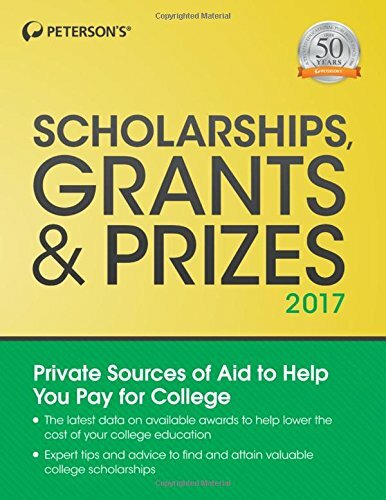 Scholarships, Grants & Prizes provides up-to-date information on millions of privately funded awards available to college students. It contains detailed profiles of awards based on academic fields and career goals, ethnic heritage, talent, employment experience, military service, and other categories that are available from private sources such as foundations, corporations, and religious and civic organizations. Hundreds of profiles include information on award amounts, eligibility requirements, application deadlines, contact information, and more. Easy-to-use indexes allow students to search for awards by criteria like academic fields/career goals, sponsoring organizations, employment/volunteer experience, military service, nationality or ethnic heritage, corporate or religious affiliation, talent/interest area, and location of study. Quick-reference chart lists award programs providing over $2,000 in order of dollar amount.